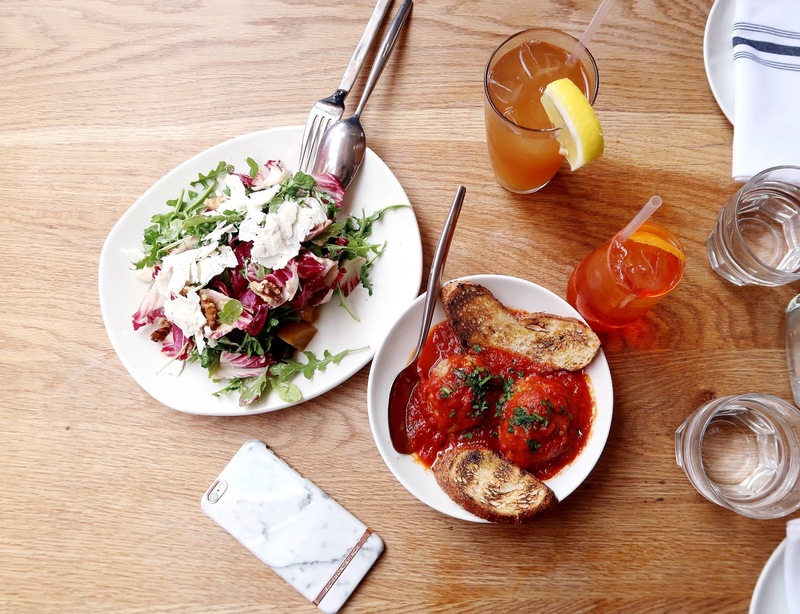 I covered 'Things to do in San Francisco' in my previous post here, so this week we're delving into the world of food with 2 incredible locations you can't afford to miss the next time you're in SF! If you follow my Instastories you'll know that I love to eat, so much so that people comment on how often I frequent eateries! #noshame #girlsgottaeat So hit up my Instagram @viviyunn_ for more foodie posts! I jumped at the opportunity to visit Delarosa in SF when the team kindly extended an invitation. As soon as I saw pizza it was pretty much a done deal. Delarosa is known for their Roman style (thinner, crispier) pizzas that are served straight out of the oven, their small plates that pack a punch, and a fantastic selection of craft beer, wines and delicious crafted cocktails. We ordered the heirloom beet salad and the meatballs in spicy tomato sauce as appetisers. 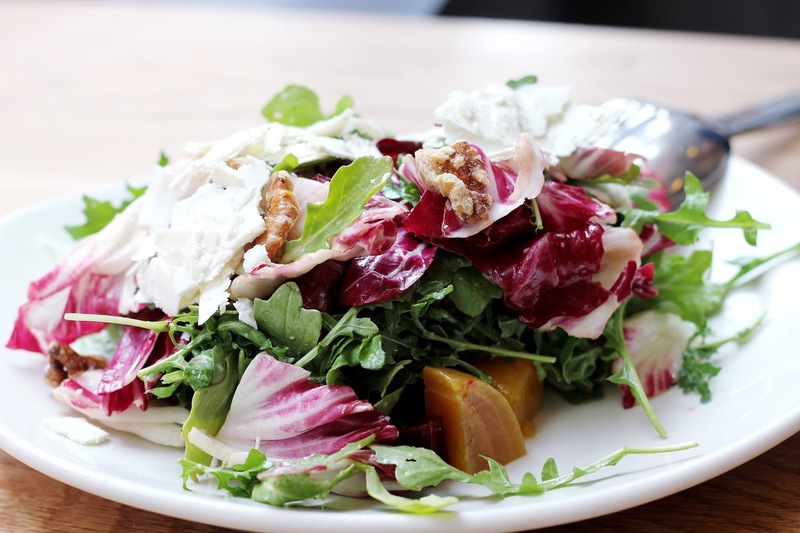 The salad was refreshing, the beets sweet, adding great colour to the dish, and the generous slices of ricotta salata added depth and contrast to this plate. The meatballs were... huge, but well cooked and not at all dry. The pieces of toast on the side added texture and substance and were a great accompaniment, but the crowning glory has to be the rich and tasty tomato sauce, finished with a slight kick! I would've been happy simply dipping bread into this sauce! For mains we went for the linguini with clams. This.was.delicious. 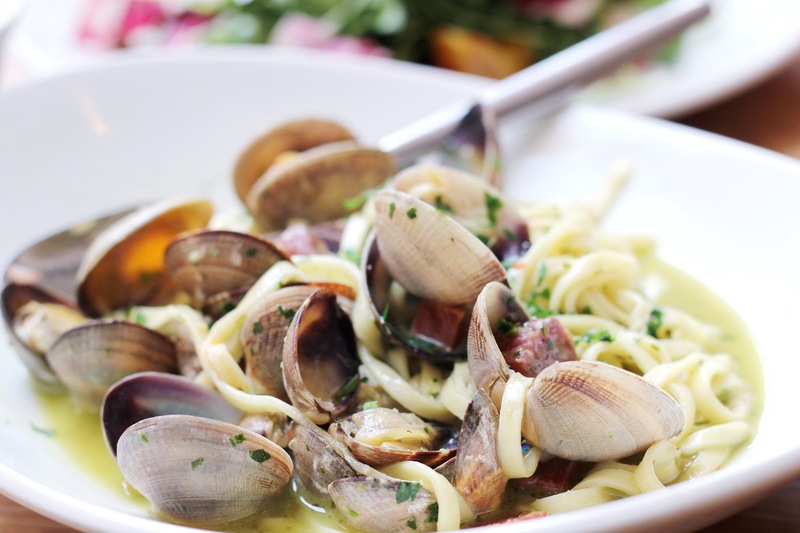 Think of vongole but amped up with lavish amounts of pancetta. The linguine was fresh, (and yes you can taste the difference! 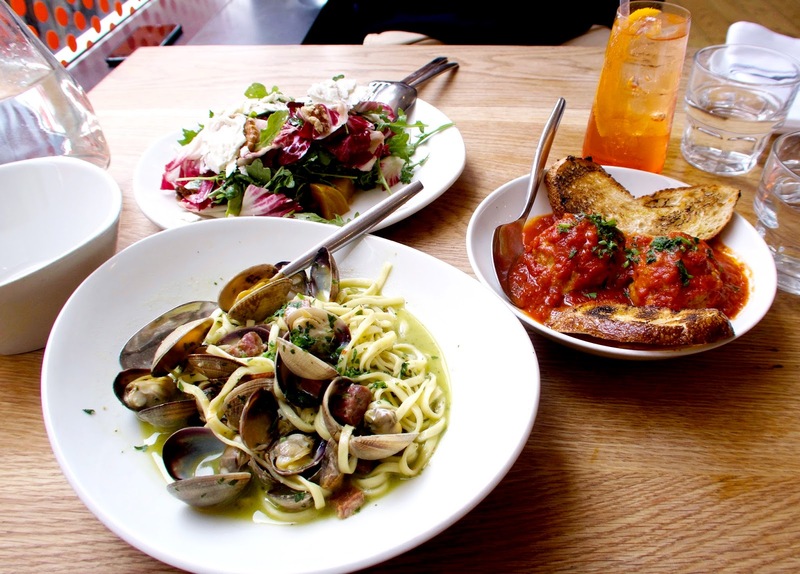 ), the clams were perfectly cooked, its flavour steeped into the buttery sauce that coated every single piece of pasta. I sang praises about this dish all day much to the delight of my husband. If you're looking for indulgent comfort food, this is precisely what you need. And pizza! I've eaten more pizza in my life than I would ever care to admit and what I generally look for is a well made, well seasoned dough. 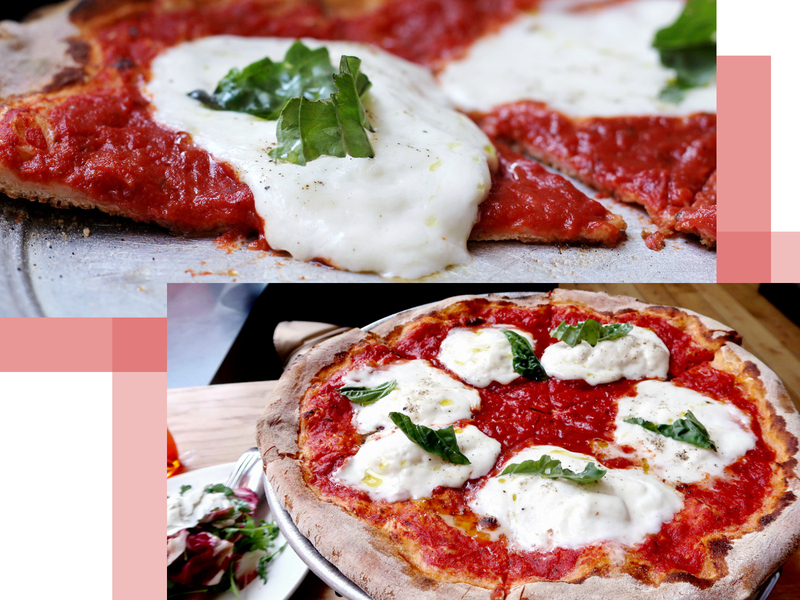 Which is why the motto 'less is more' rings true with me when I peruse a pizza menu and why more often than not, I order the classic margherita option. Delarosa's pizza dough was exactly that, fresh out of the oven for the most satisfying crunch. We opted for the classic 'sauce, cheese, basil' margherita with huge chunks of creamy, rich burrata, melted in the oven over generous helpings of that delicious tomato sauce I mentioned earlier. This is pizza at its finest guys and you can't skip this if you come here! I had the most incredible foodie experience at Delarosa and if I haven't convinced you that Delarosa never does things in half measures, order an Aperol spritz - mine definitely wasn't lacking in the Aperol department! 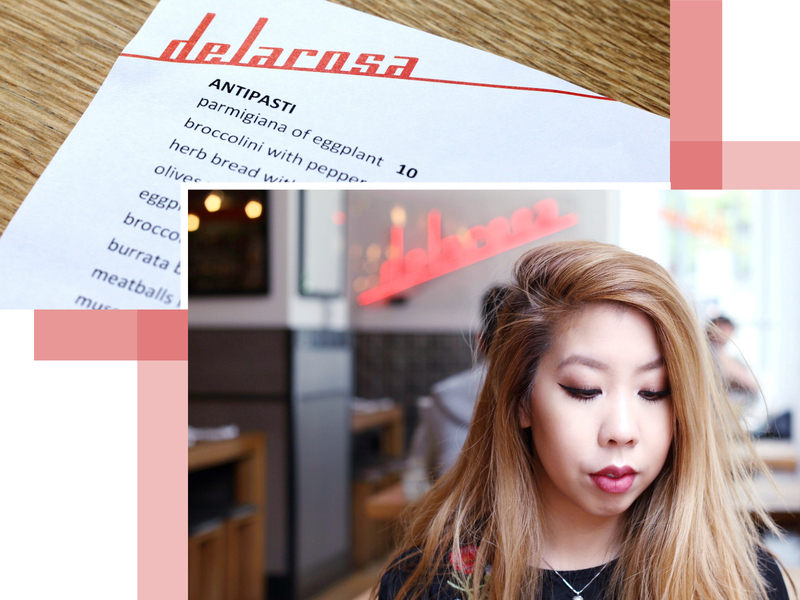 I had a lovely time at Delarosa's downtown location, they also have another space up by the Marina if you're in the city. If you ever ask me about San Francisco, this will be my first recommendation! A special thank you to Rachel and the Delarosa team for having me. 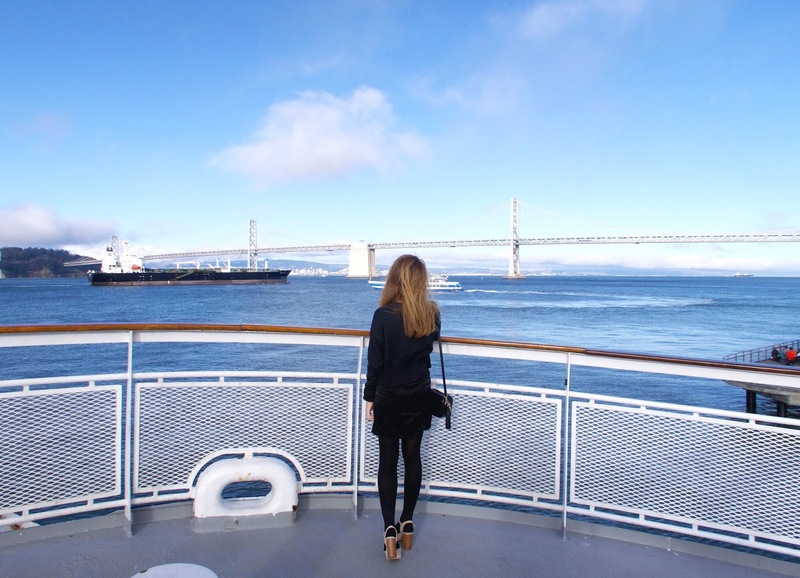 My second foodie recommendation comes hand in hand with a cruise of the Bay! 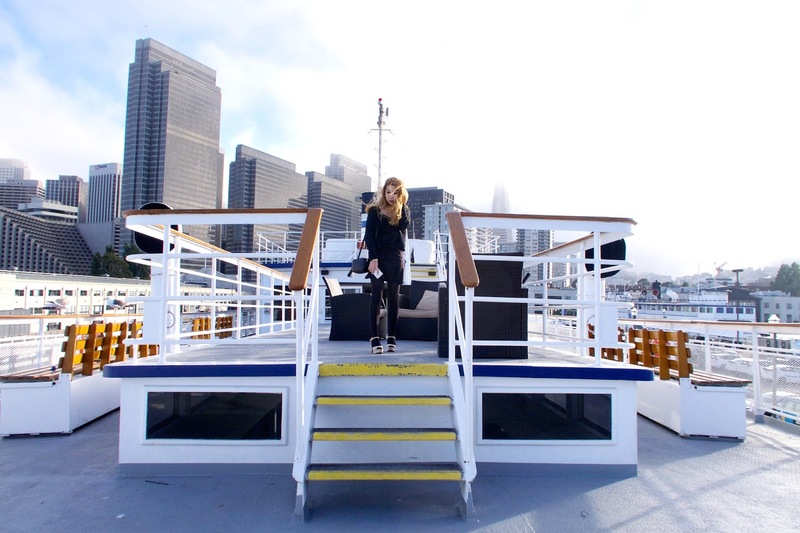 This is a real dining experience and a wonderful way to see San Francisco whilst wining, dining and dancing into the evening with live music on the water. Hornblower Cruises offer brunch, lunch or dinner cruises so you have variety of different foods to choose from according to your schedule. 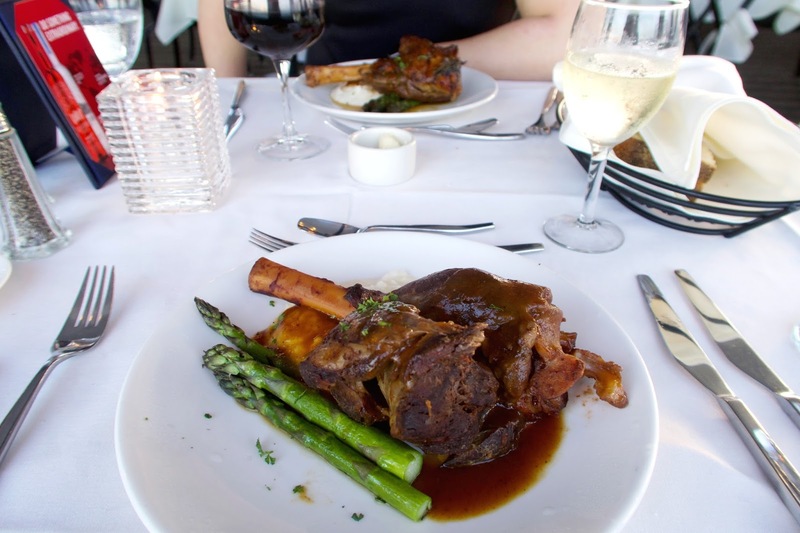 We went for the dinner cruise with the above set menu of the day and options to enhance our meal. 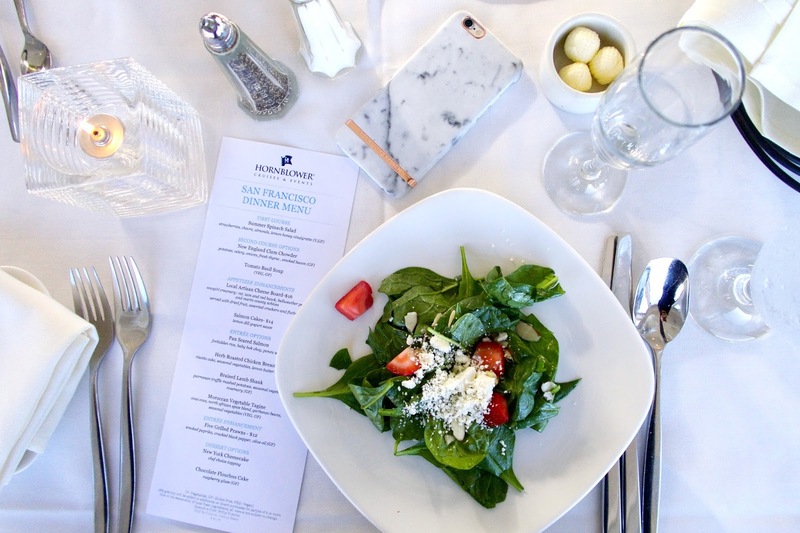 We were greeted and shown to our table to a lovely fresh, spinach salad, tossed with almonds and strawberries. Any mixture of greens with strawberries always heightens the salad eating experience for me! 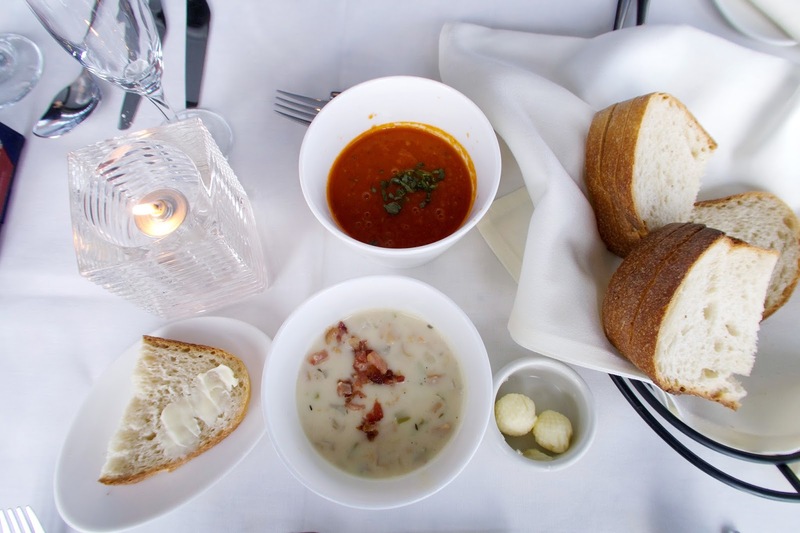 The live band starts playing and soup options are served once the cruise ship leaves the harbour giving us some time to explore the upper and outer decks to take in the beautiful SF Bay view! Doesn't life just seem so much more peaceful and carefree when you're on the water? We wrapped up the evening with a delicious chocolate cake topped with raspberry glaze and a New York cheesecake with fresh berries, just before the ship docked at Pier 3! A Hornblower Cruise experience is absolutely perfect if you're looking for a romantic date night with your significant other or even if you're getting a group of friends together for a celebration - there were several party groups on board our cruise which only added to the fun and relaxed vibe on board! The service is definitely something to shout about. We were very well looked after by our server Dorathy who made sure the entire evening went seamlessly! At one point, we even stopped mid-cruise to pick up a kite surfer who had ventured too far out and was having difficultly with his lines. With service extending to rescue you can't say it falls any short of phenomenal! 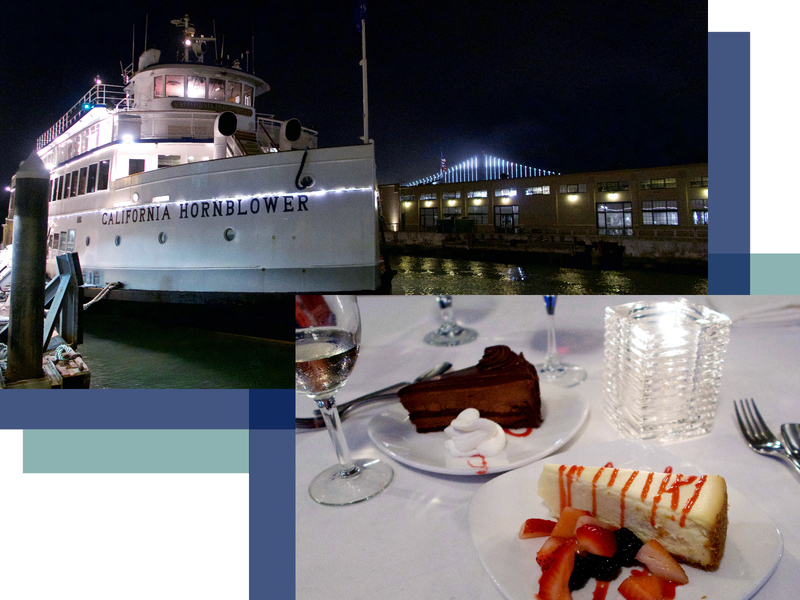 Great food, great service and great music come part and parcel with an experience on a Hornblower Cruise which makes for a fantastic way to spend your time in San Francisco! A special thank you to Olivia and the Hornblower Cruises & Events team for having us. 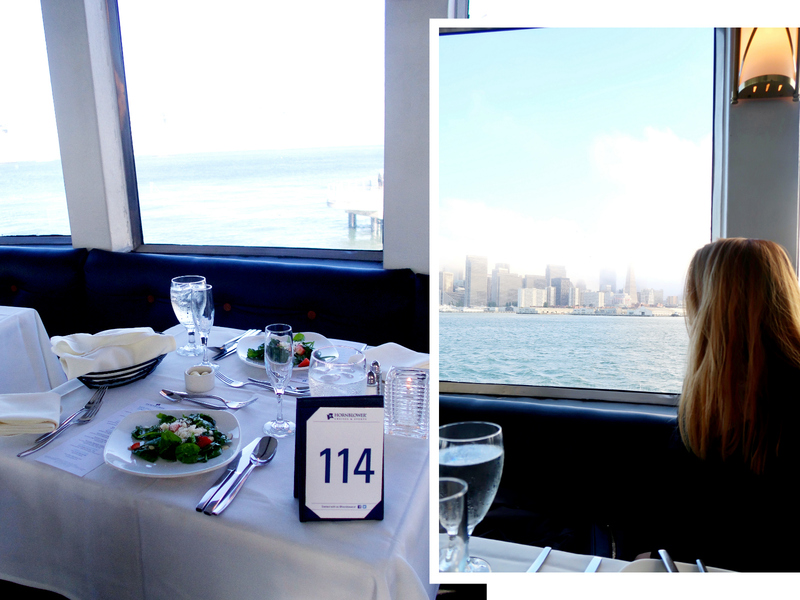 Thank you also to SF Travel for our SF dining experiences! 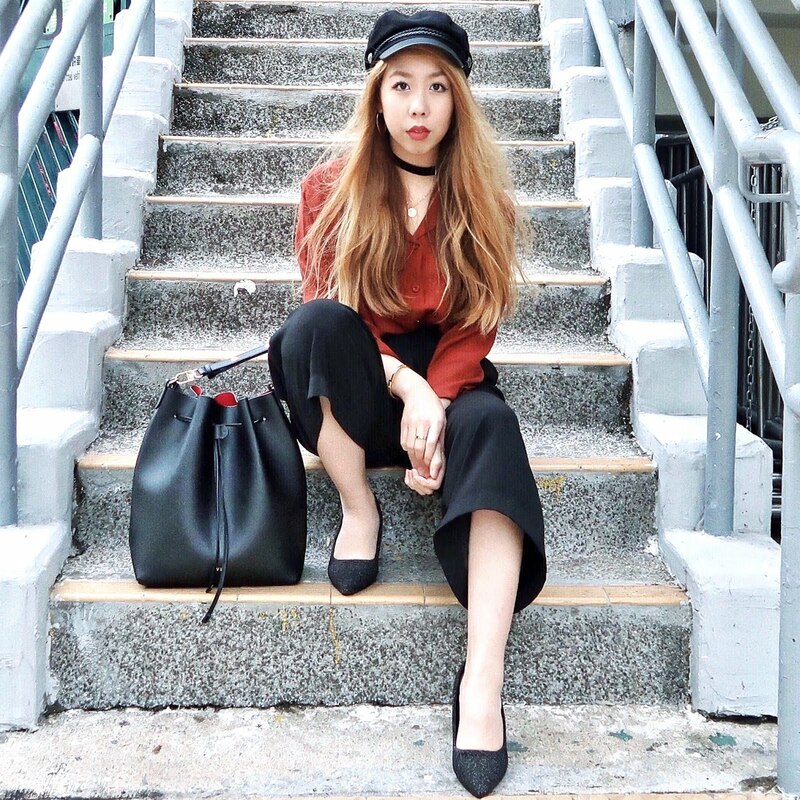 Remember to check out my previous post for a San Francisco travel guide, and visit CityPASS for huge discounts off the city's top attractions!